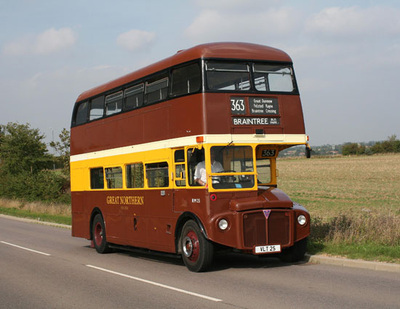 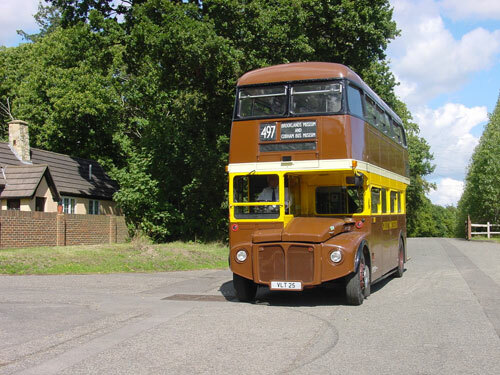 Being one of the very early RM’s into service in 1959 and not being withdrawn until 2005, this bus can claim a London pedigree few vehicles can rival. 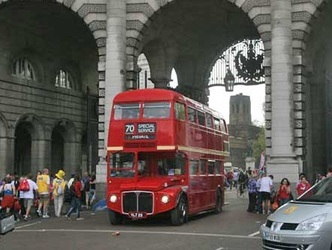 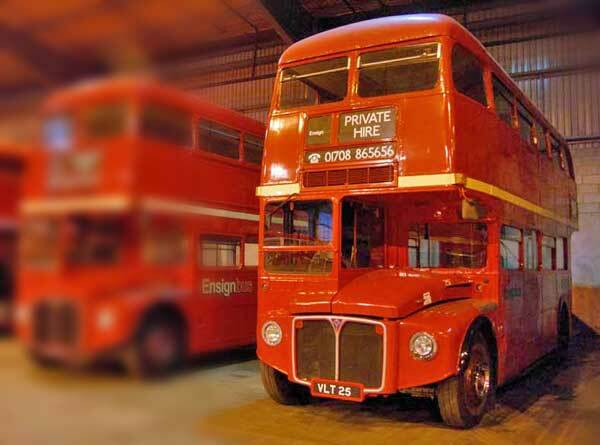 In that time having served all over London and from many different garages there is every chance that if you used to travel on a Routemaster you may well have travelled on this one! 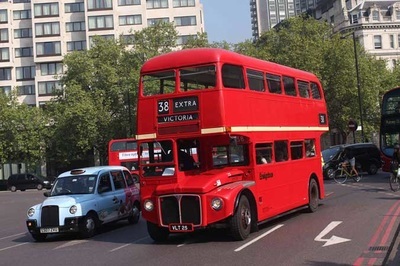 Having worn a number of liveries in its time, today it has been returned to the red and cream it would’ve worn when new, but now benefiting from upgraded lighting and engine its a reminder of their longevity in London service and of this vehicles particular achievements in that area. RM25 is one of the longest serving London Transport vehicles having first entered service at Willesden Garage for use on the 8’s in July 1959 and lasting through to withdrawal in 2005. 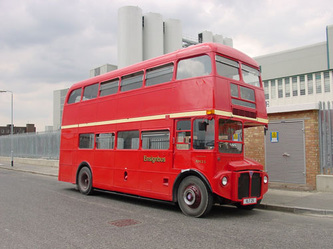 Following its pretty brief stay at Willesden, RM25 moved east, heading first to Loughton, before having stints at Poplar, West Ham and later Alperton. 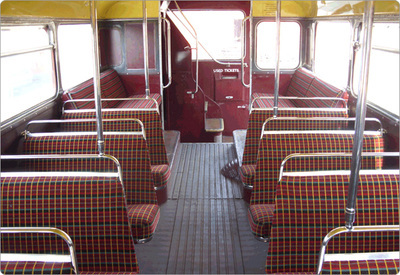 Following its final full overhaul at Aldenham in 1983, the bus moved first to Holloway and then Merton, Steatham, Norwood and Brixton. 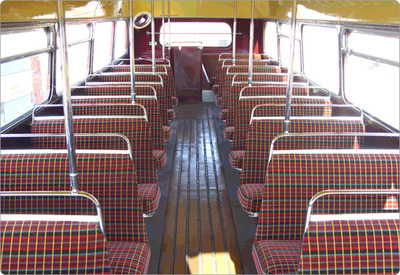 Privatisation would polarise the vehicle within the Cowie, later Arriva, South London fleet, where working on the 159’s she received the red and cream route branding whilst here.In 2002 she wore another special livery, this time the gold to celebrate the Queens Golden Jubilee, before being reinstated back to red the following year. To celebrate the 50th anniversary of the ‘birth’ of the Routemaster RM25 was again selected to wear a special livery, this time a chocolate, white and yellow, representing ‘Great Northern’. 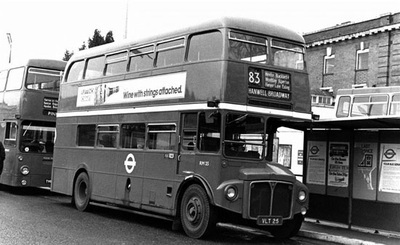 She then became a regular performer on many of the Routes last day specials wearing the unusual livery until her own time to be displaced came first from Battersea on the 19’s and then as the 159’s were converted, thus brining to an end a front line London service life of nearly 46 years.Passing to Ensignbus, she was retained in fleet although transferred to the Cardiff depot and returned to the traditional red livery The Cardiff operation was later sold by Ensign in 2010 at which point RM25 was returned to Purfleet where it is now an active vehicle in the Heritage Fleet.